Shifu DeRu’s speech delivered at the Bethesda Campus of Washington Waldorf School was focused on quantum communication in healing mind and body connection with a practical guide on the healing potential from Chan meditation to imagination in harmony with Cosmic Consciousness, which was sponsored by the ICM (International Forum on Culture of Chinese Medicine) led by Dr. Shu Mengda, in conjunction with SCF (Shaolin Chan Foundation). Chan is all about opening the mind and freeing the body to let each individual to flow with the universal Qi, channeling one to be creative and productive without competitiveness –developing an endless fountain of wisdom. Shifu (Zen Teaching Father in Chinese) DeRu delivered a memorable speech on unveiling the universal conscious intelligence at the seminar held in Washington D.C. metro area on February 20th, sponsored by the ICM (International Forum on Culture of Chinese Medicine) led by Dr. Shu Mengda, in conjunction with SCF (Shaolin Chan Foundation) was held at the Bethesda Campus of Washington Waldorf School. “Your ability to restore and refresh your mind and body to optimum health and wellness is within you and available to you at any moment by accessing the universal healing intelligence, Chan” (also known as Zen, which is a Japanese translation), according to Shifu DeRu, a 31st generation Shaolin disciple, a world-renowned Shaolin Chan and martial arts Grandmaster, highly sought after teacher, and an esteemed scholar, opening conscious communication channels with cosmic intelligence is the pathway for health and happiness. The talk was focused on quantum communication in healing mind and body connection with a practical guide on the healing potential from Chan meditation to imagination in harmony with Cosmic Consciousness, guiding each participant to see the healing channels of microcosm of the universe in realization of greatest healing potential within. 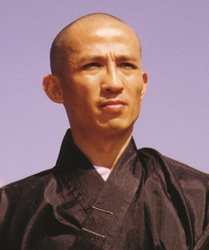 In addition, Shifu DeRu taught a technique he developed specifically to unveil the conscious communication channels with cosmic intelligence - Chan Tai Gong. 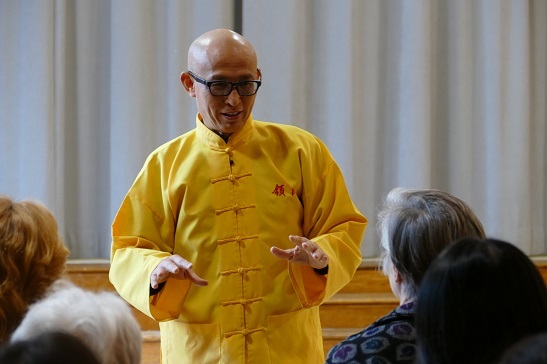 “The seminar, I really call it a workshop, is all about the body and mind connection, communication and transformation of conscious Qi so that each participant can heal and restructure the organism within”, says, DeRu, the Chan Grandmaster. 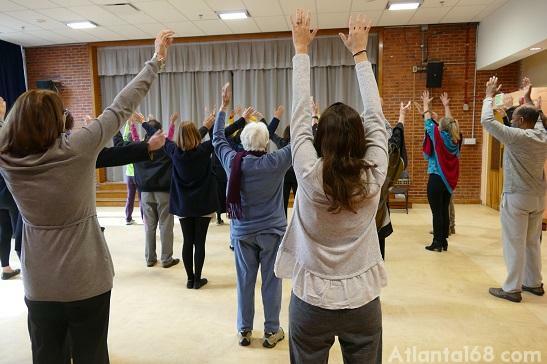 During the seminar each participant was assisted to see that inner consciousness and learned how to meditate and vibrate that conscious healing frequency to reconnect to that cosmic consciousness in quantum level without time and space delay, allowing the healing and empowering that is naturally carried out as the meditation begins. 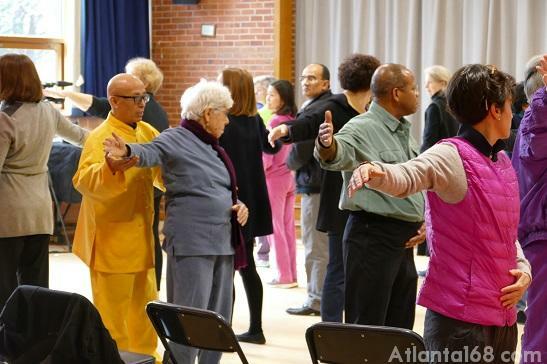 Additionally, the seminar was held during the special opening days of the Chinese New Year of the Fire Monkey. The monkey according to Chinese is an intelligent, witty, free, and inventive being without social restrictions in his imagination flowing with the universe consciousness. People who have the monkey as a sign are problem solvers, working with their group while simultaneously demonstrating independent character, flowing with high conscious intelligence, associated with genius and achievers, creative with high intelligence and grit. SCF (Shaolin Chan Foundation) is a non-profit organization under 501 (c) 3. SCF is established to carry the ancient Shaolin Chan Culture to generations to come to enlighten, inspire and educate Chan freedom of the body and the mind and to promote Shaolin Chan culture and wisdom of peace and compassion around the world to enable each individual to unveil his/her greatest potential. The vision of SCF is to establish Life Intelligence University for all peaceful & harmonic peoples of high consciousness around the globe.